Stationary Retail is dead. Is it? Don’t worry about wrong sizes or unpleasant surprises regarding color or quality. What you see is what you get! Visiting smaller shops, you will probably meet the owners themselves. They’re happy to give advice to you and if you want, they will tell you stories and ideas behind the products and their designers. Strolling around the streets you will likely discover new places, shops or products you didn’t know before – exciting! And there is so much to discover you didn’t know yet! 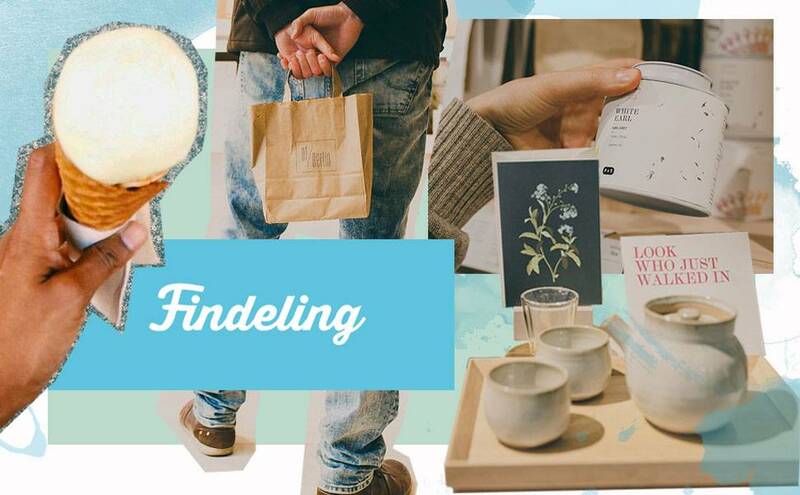 Fortunately, there is a company to support you during your next shopping trip – Findeling recently launched their Berlin app, gathering all the cute local shops and giving you an overview of their portfolio and where they’re located. Findeling also organizes a lot of community events like late night shopping or raffles. Just follow them on facebook or visit the website for further information!